I wasn’t a big Italian wine drinker before attending this event. I only knew there were many types of grapes and styles, making it difficult to choose, and some are very expensive. However, thanks to the President of the Guild, Bill Ellis, and his special guest and instructor at the Italian Wine Scholar, Matt Webb, I have changed my mind. This duo of Italian wine lovers made us taste 13 wines in four flight; the first of which was a flight of white wines. I was very grateful to have a chance to taste such amazing wine while receiving great insight from Matt about Italian winemaking and regions. My three wine choices for Hidden Gem, Best Value and Best of the Night were quite challenging to choose. 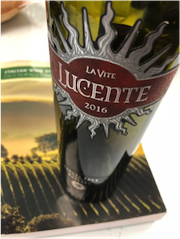 My Best Value wine choice is La Vite Lucente 2016, crafted from Merlot, Sangiovese and Cabernet Sauvignon. This is a pure black fruit Super Tuscany type wine, with rich aromas and flavors, showing its elegance as an easy drinking wine. My choice for Hidden Gem is as the title says, a gem. 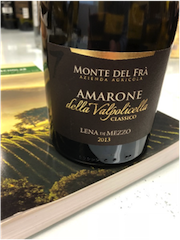 Monte Del Fra Lena Di Mezzo Amarone 2013, apassimento style at its best is a pitch-dark wine that offers dense aromas of cherry and dried fruit, with well composes tannin. 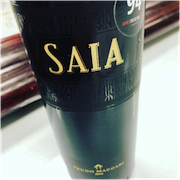 This approachable Amarone will please any connoisseurs and amateur of Italian wine. The Best of the Night was like choosing between a Ferrari or a Maserati. As difficult of a choice to make, Oreno 2016 won first place at the finish line. No, it’s not because of its 99Pts rating by James Suckling. 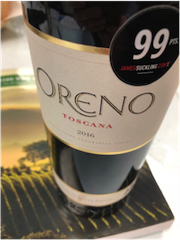 It is its amazing character and quality, tastes of dark fruit, spice and pleasant oak, with a silky finish that make this complex wine a noble attraction. ​Hope to see you at the next event. Ciao! With Fall upon us, thoughts of drinking light fruity wines on the patio turn to thoughts of more robust wines paired with hearty stews and roasts next to a warming fire. The October 27th Vintages release is featuring premium Italian wines. Joining Guild President Bill Ellis will be special guest Matt Webb who teaches the Italian Wine Scholar program at the Vendange Institute. Matt’s depth of knowledge on Italy and it’s wines will make this evening not only a great tasting and a good opportunity to taste new releases but will allow attendees the chance to gain a deeper knowledge of Italian Wine. We encourage you to register early as all members signed up by Saturday, October 21, 2018, will be invited to suggest a few of their choices from the release. We will consider the requests as we make the final selection, particularly looking at popular items based on multiple responses along with any creative thematic suggestions. The VPR is an opportunity to “try before you buy” a number of wines to be released by Vintages on the following Saturday. Taste some selected, expensive, highly reputed wines that might not cross your palate otherwise and also have the chance to discover wines offering exceptional price/quality ratios and affordable lesser-known premium quality products that are well-made bargains. Event Report: Vintages Pre-Release Tasting—Winemaking Families & Riesling—Have your Say! Yesterday was the First Vintage Pre-Release of the season at the Vendange Institute. The one and only Rod Story was the host of the tasting. Rod’s experience and connection to the world of wine was put to task by selecting interesting and lovely wines for the wine lovers in the room. One flight of four whites and two flight of four reds were served throughout the night, and Rod informed us that one special selection would be served at the end of the night. Now let’s get started! The first flight provided a savant choice of interesting grape varieties. Two Rieslings - a Canadian and a German - were served to showcase the difference in taste and wine making. In addition, Rod surprised attendees with two types of grapes that are not typically sought out by the usual consumer. A Chenin Blanc from Château la Variere le Savetier Coteaux du Layon was served, as well as Les Vignes de Bila-Haut Côtes du Roussillon Blanc 2016, which is made from a blend of 60% Grenache Blanc, 20% Macabeu, and smaller amounts of Marsanne and Vermentino. Both the second and third flights of wine were reds from around the world. From light to bold, and from chewy tannins to well balanced, Rod’s remarkable wine choices pleased our taste buds and were lovely discoveries that we don’t often have the opportunity to taste. Finally, Rod’s special selection was served by itself. It was a Massi Mazzano Amarone Della Valpolicella Classico 2013, a classic Italian purebred, well made and elegant like Massi can do. This Amarone concluded our enjoyable night. Many thanks to Rod for his tasteful wine selection. Looking forward to the next National Capital Sommelier Guild event. 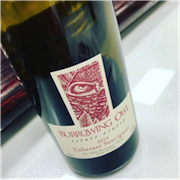 ​Hidden Gem: Burrowing Owl Estate Bottled Cabernet Sauvignon 2015 – Lovely Cabernet Sauvignon from British Columbia. Beautiful aromas and great body; success is not unknown to this Canadian wine. Great find. 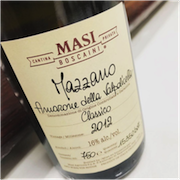 Best of the Night: Masi Mazzano Amarone Della Valpolicella Classico 2013 – Amazing Italian ready to drink, chewy tannin, full body and wonderful finish. This beast will please any Italian style wine lover. Vintages Pre-Release Tasting—Winemaking Families & Riesling—Have your Say! The first VPR of the season will feature wines from four well known families of the wine world: Masi of Veneto; Colome of Argentina; Wente of California; and Perrin of the Rhone Valley. In addition to these wines there is a secondary feature of Rieslings plus the wines of the regular release. Come join us as we taste some of these wines as well as searching out some of the highly recommended wines that punch above their price point. In addition, we will try to fit in some other recommended wines from the release highlighting. ​You can check out the release here. We encourage you to register early as all members signed up by Saturday, September 22, 2018, will be invited to suggest a few of their choices from the release. We will consider the requests as we make the final selection, particularly looking at popular items based on multiple responses along with any intriguing thematic suggestions. The tasting will be lead by Guild Director Rod Story. ​​Last night the National Capital Sommelier Guild held an evening of Canadian wine tasting, discovering wine from our own backyard. Matt Steeves animated the event and poured fifteen wines from coast to coast, taking us from the magical regions of British Columbia to the maritime region of Nova Scotia. Each wine was unique and carefully selected by Matt to express the diversity of the wine crafted in Canada. Matt started with a selection of white wines from BC, Ontario and Nova Scotia, including Chardonnay and Riesling. The group was able to note the differences between each grape and the region it came from, taking into account elements such as ripeness, sun exposure and soil. The second flight offered two Pinot Noir and two Meritage from Ontario and BC. This flight revealed the good quality of BC Pinot Noir, such as Foxtrot Vineyard from the Naramata Bench in the Okanagan Valley. The group also enjoyed a Meritage from Icellars Estate Winery, a new Niagara winery that opened in 2010. The third flight provided bold BC wines, showing deep colors, full body and a lot of fruit. I believe this was the preferred flight of the night. Matt explained the bio climate difference in BC, which causes the grape to reach a high level of sugar and ripeness, and results in a rich and bold type of wine. For the fourth and last flight, Matt surprised us by showcasing three bubblies from Nova Scotia. Although not renowned for its bubbly, Canada has what it takes to produce well-made effervescent wine. All three bubblies impressed the group with impressive freshness and acidity, making these noteworthy choices for upcoming holiday season. Stating with last night’s event and onward, the group will select the three wines of the night, according to the following three categories: Best of the Night; Best Value; and Hidden Gem. Thank you to Matt Steeves for introducing these Canadian gems, as I am sure these were new discoveries for many in the group. Thank you to Julie as well, our friendly worker bee. Looking forward to seeing you at the next event. Best of the Night: Burrowing Owl, Meritage 2014 from Okanagan region BC. An assemblage of 39% Merlot, 28% Cabernet Sauvignon, 20% Cabernet Franc, 10% Petit Verdot and 3% Malbec. Full-bodied with a long finish, this heavy weight gains victory at the first sip. The group enjoyed its bouquet, fruitiness and body. All harvested by hand and loved for two years, this wine shows the savoir faire of the BC wine region. Hidden Gem: Equuleus, Meritage 2007 from Château des Charmes, located in Niagara-on-the-Lake. Château des Charmes owned by Paul Bosc created this Meritage from his best vintage, ensuring the conception of a unique and delicious wine. The group loved this wine for its full body and aging notes such as leather, soy sauce and mushroom. In addition, the Equuleus shows great structure for its age. Are you wondering what Equuleus means? It is the “Little Horse” constellation. Good luck finding it in the night sky. Best Value: Petales d’Osoyoos, Meritage 2012 from the Okanagan region of BC. A blend of Merlot, Cabernet Sauvignon, Petit Verdot, Cabernet Franc and Malbec, provides a classic and magical red wine. Osoyoos Larose winery is owned by Château Gruaud Larose in the Saint-Julien appellation, which was classified as a Deuxième Cru Classé in 1855. The Bordeaux style is reflected in the wine making of the Osoyoos Larose winery. The group loved this wine’s fruity aromas, balance and finish. Following last year’s successful Iconic Canadian Wine tasting in celebration of Canada’s 150th anniversary of Confederation, the National Capital Sommelier Guild is hosting a follow up special tasting of premium Canadian wines, representing some of the many world-class wines Canada is producing each and every year from our nearly 700 grape-based wineries and 1,700 grape growers/vineyards across Canada. Prince Edward County With Winemaker! In 2000 there was a cider producer. By 2004, five wineries. Today there are more than 50 wineries, distilleries, and cider and beer brewers making top quality elixir for those who love to travel. Nestled in the ‘Golden Triangle’ between Toronto, Ottawa and Montreal is the much lauded Prince Edward County. Loved by chefs and sommeliers this tiny area has some of the most exciting things happening in wine and food in Canada today. Join winemaker Mackenzie Brisbois as she takes us through the Trail Estate collection. We will learn first hand the pitfalls and prizes that come with making wine in the County. Part two will focus on what journalists think is the County’s best grape, Pinot Noir. from the area’s smallest producers. These reds are winery only purchases collected by Ron Melchers and Carola Price from the areas’ smallest and most interesting producers. Please join us for what will prove to be an enjoyable and educational night! The Guild s Annual General Meeting is part business and part social event. A recap for Members of the 2017-18 seasons activity and ﬁnancial status will be given. Members will be given an opportunity to provide feedback about the Guild and our events and have the opportunity to address questions to the Board as to areas of focus and potential improvements. The AGM will be followed by a reception where food and wine will be served. There is no cost for this event but we ask you to register to make sure we have enough refreshments. Please note that free parking is available in lot 8-12, close to T building, after 5pm. We look forward to seeing you. This event is for Guild members only. Vintages Pre-Release Tasting - Women in Wine - Have Your Say! Join Guild Director Lisa Isabelle and raise a glass to Women in Wine at one of our final VPR tastings of the season and discover some of the dynamic women contributing to the global wine industry. This Vintages Pre-Release tasting is an opportunity to try some of the wines before the official release on May 26. Sign up early and have your say! Join us for this blind tasting experience and enjoy some selected, expensive, highly reputed wines that might not cross your palate otherwise and also have the chance to discover wines offering exceptional price/quality ratios and affordable lesser-known premium quality products that are well-made bargains. All members signed up by Saturday, May 19 are invited to suggest a few of their choices from the release. All requests will be considered before a final selection is curated into interesting flights for the tasting. Bordeaux - Vintages Pre-Release Tasting - Have your Say! This Vintages release is showcasing Bordeaux. This release usually shows wines ranging from great values to some higher end products. If we find other interesting products don’t be surprised if we add a few other well made wines from the rest of the release to keep things interesting and challenging. The tasting will be lead by Guild Vice President Marie France Champagne and Guild President Bill Ellis who have both spent time in Bordeaux during En Premieur week and can share some thoughts and insights into different vintages and producers with you. PLEASE HAVE YOUR SAY!! Join us at Vendange for this blind tasting and discover some good value wines as well as wines you might not otherwise try. We encourage you to register early as all members signed up by Saturday, May 4thwill be invited to suggest a few of their choices from the release. We will consider the requests as we make the final selection, particularly looking at popular items based on multiple responses along with any intriguing thematic suggestions. The VPR is an opportunity to “try before you buy” several wines to be released by Vintages on the following weekend. Taste some selected, expensive, highly reputed wines that might not cross your palate otherwise and give you the chance to discover wines offering exceptional price/quality.